FlexTexture® side changes texture based on your water temperature. ResoFoam® side creates tons of suds for a soapy wash.
Scrub, Flip ‘n’ Wipe using Scrub Mommy’s dual sided action. 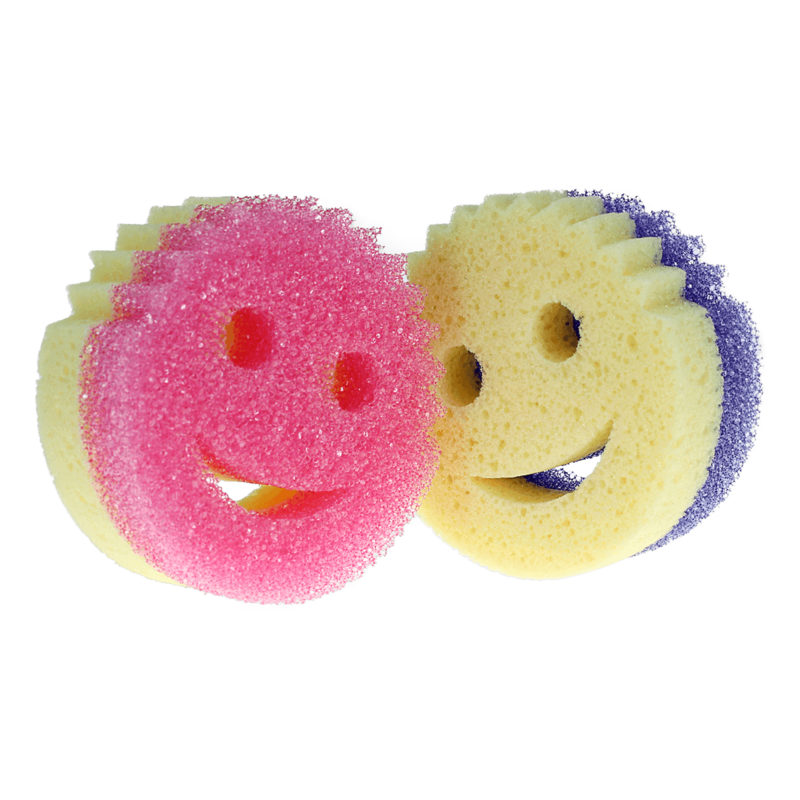 Scrub Mommy combines smile face ergonomics and dual sided design. Scratch free FlexTexture® side changes texture based on your water temperature. 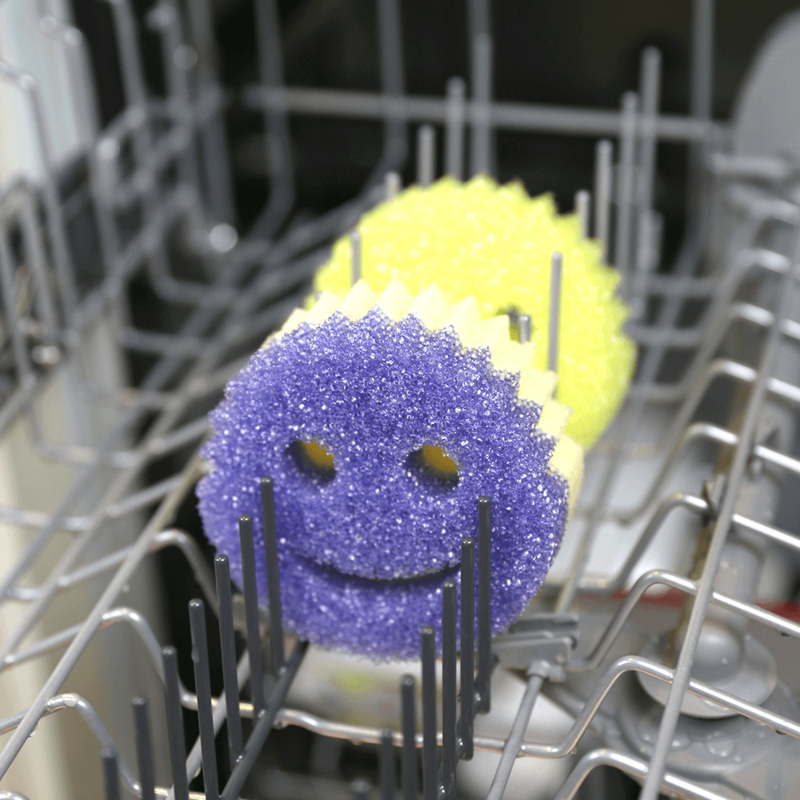 Firm in cold water for tough scrubbing, soft in warm water for light cleaning. Her eyes hold onto your fingers and mouth cleans both sides of utensils. 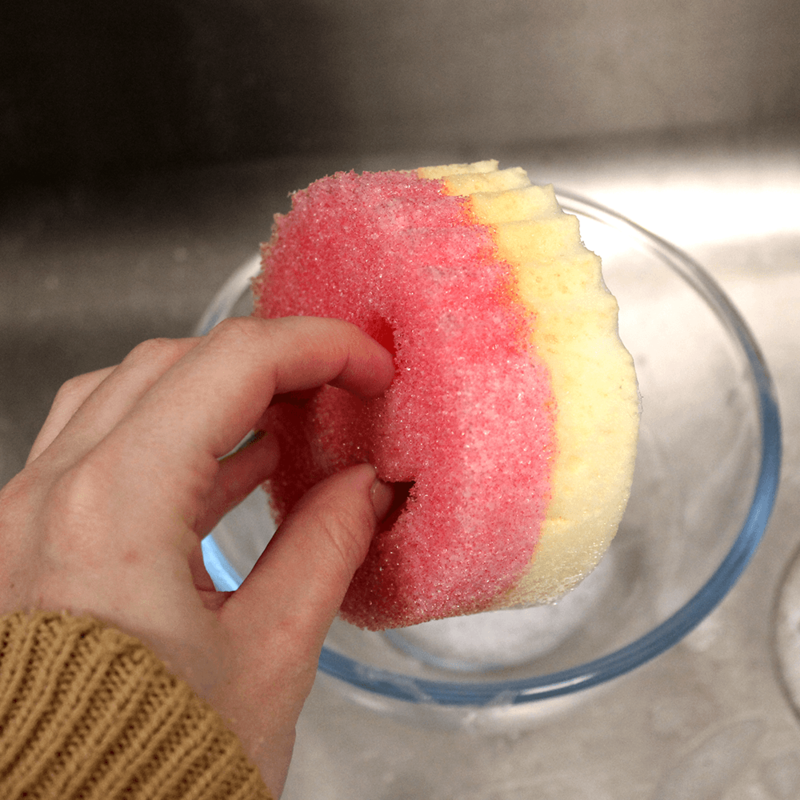 Fab wee sponge, is a cleaning product must in my house, love the non scratch side with the soft sponge on the other. Scrub mommy has never failed me. 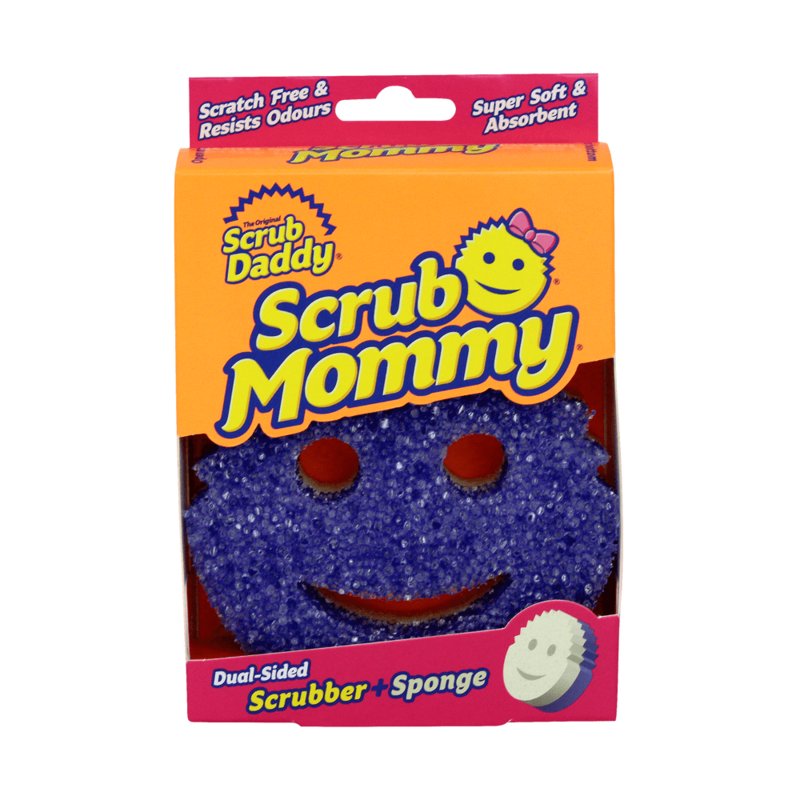 What I like about Scrub mommy is that the dual sided as you can scrub off dirt with one side and wipe it away with another. Very hard wearing and even when you think you’ve definitely worn mommy out she keeps scrubbing away those tough marks. 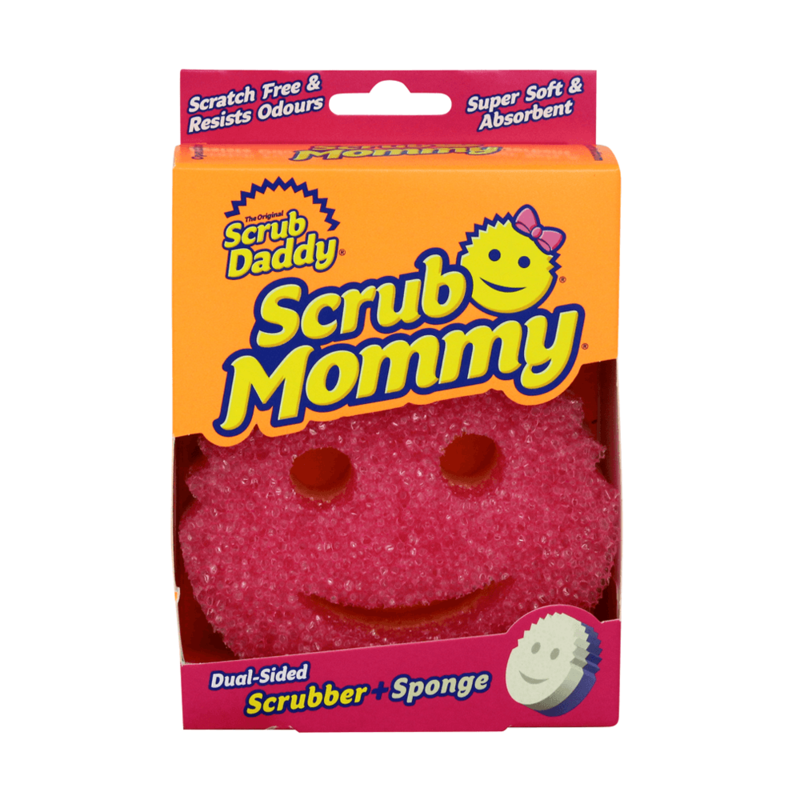 Scrub Mommy is my new best mate! Amazing product , can be used for so many jobs. Love having a pretty girl sponge and love the two different sides for scrubbing and then the sponge. Does a fantastic job especially in the kitchen!